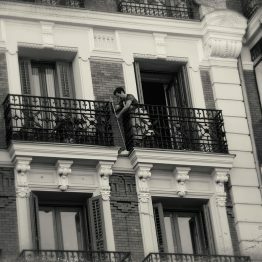 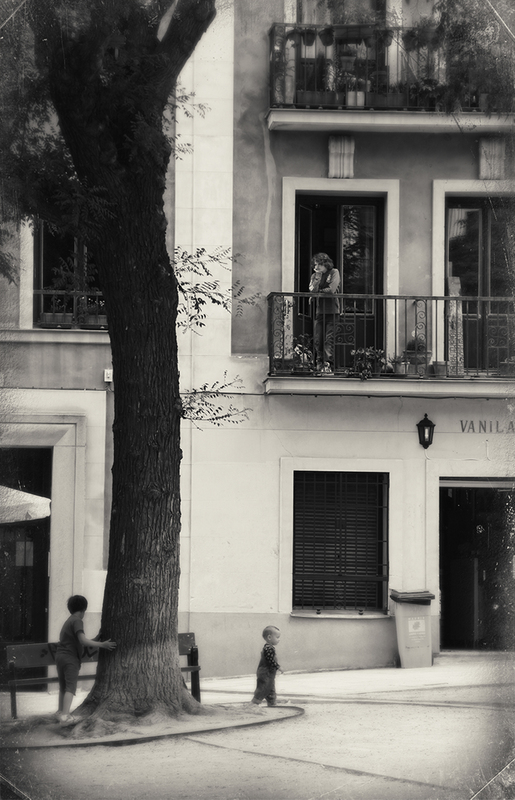 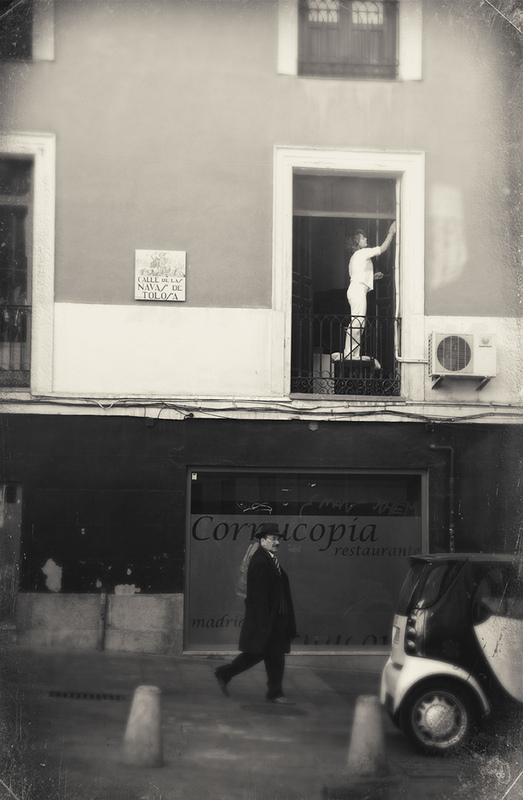 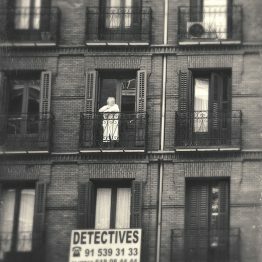 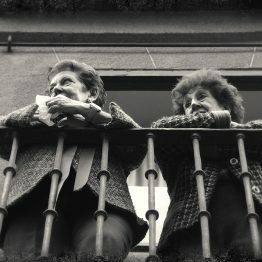 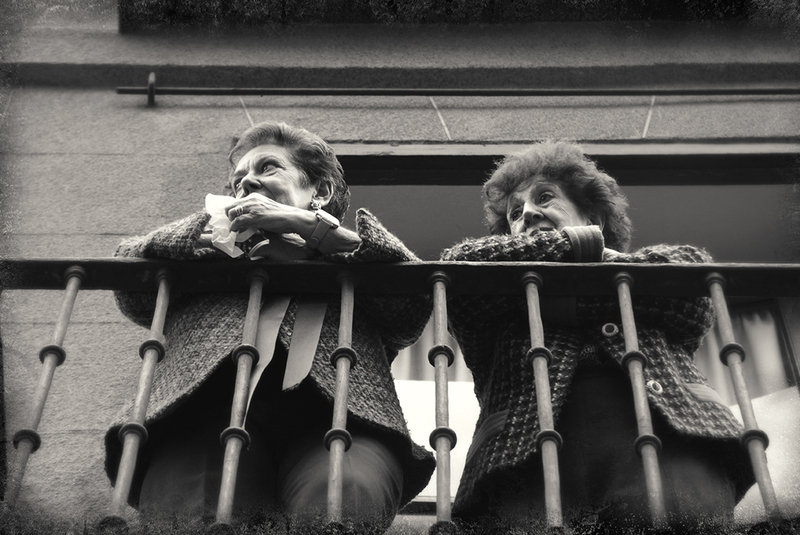 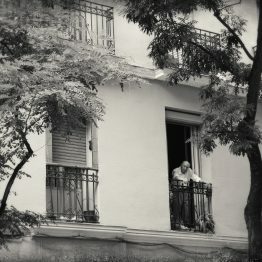 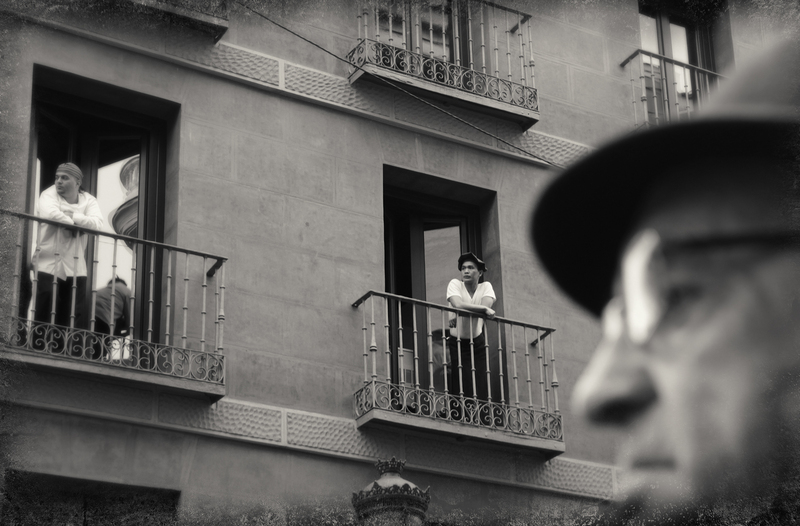 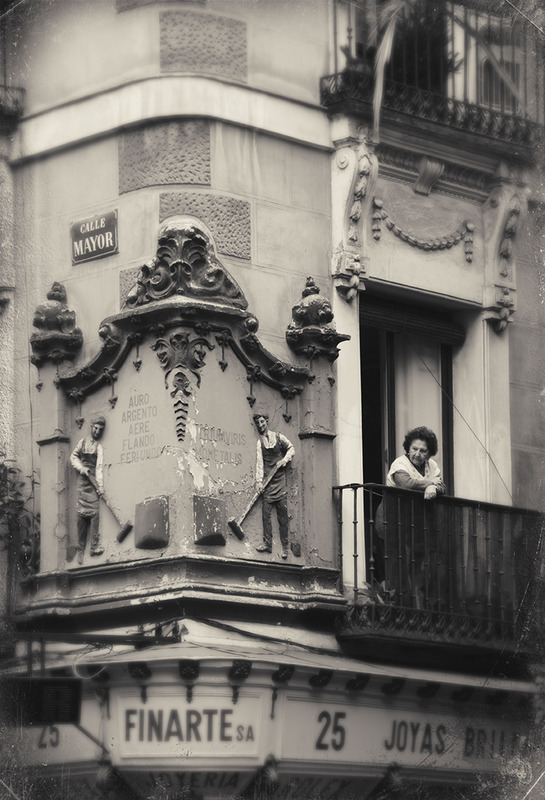 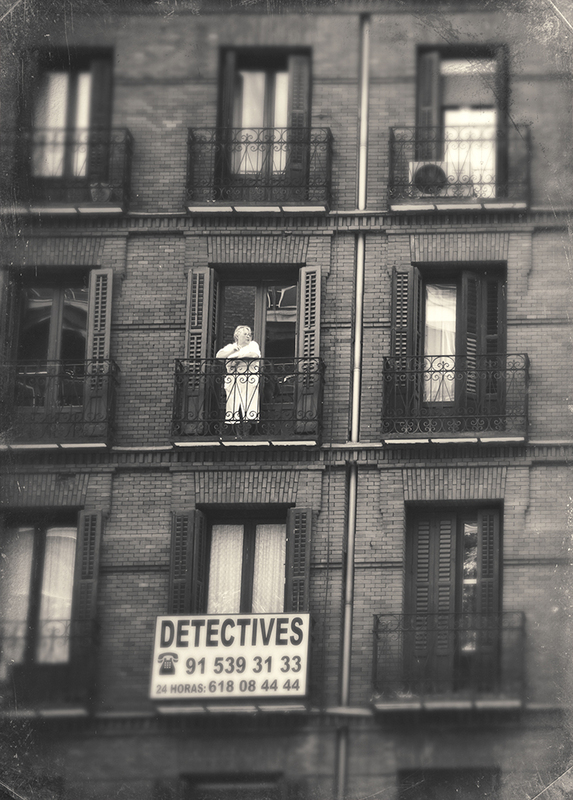 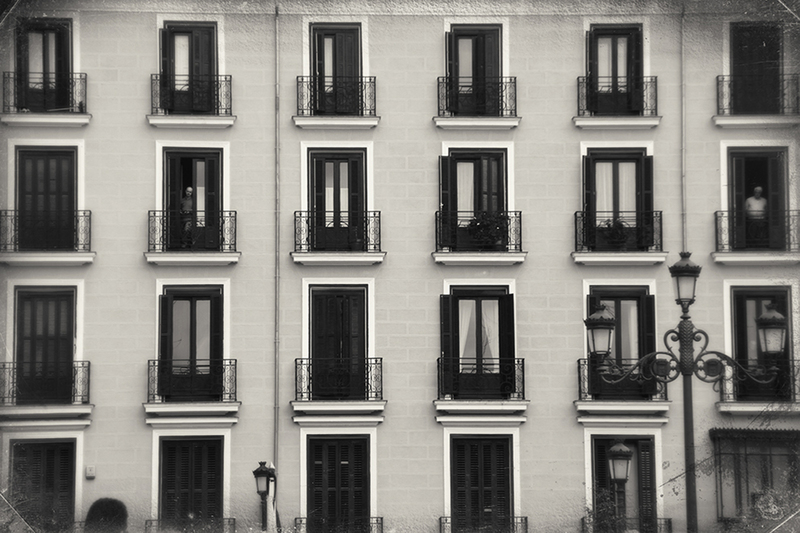 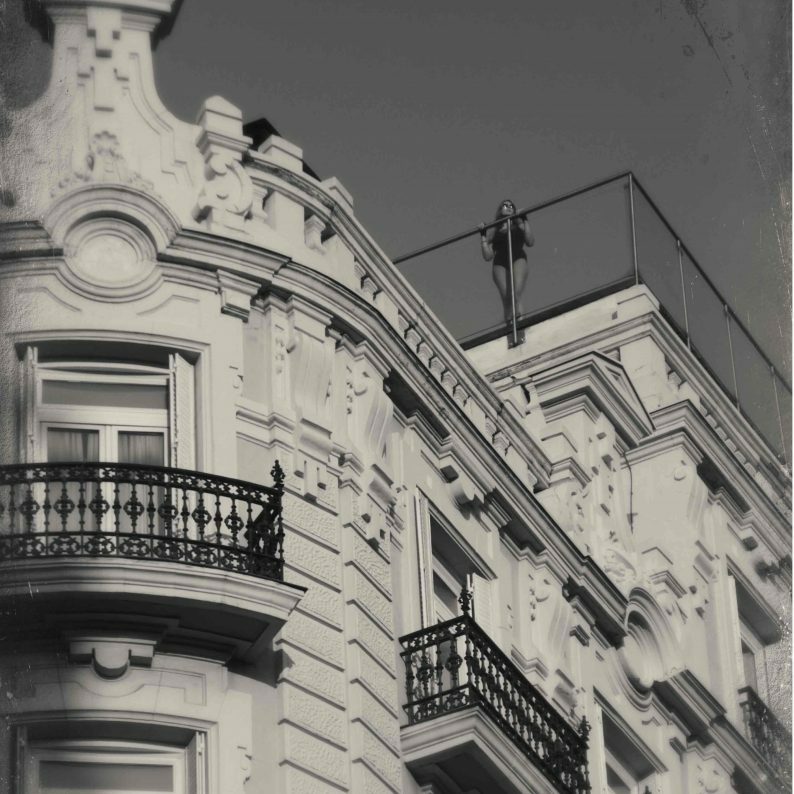 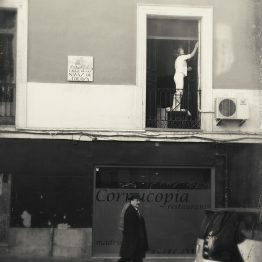 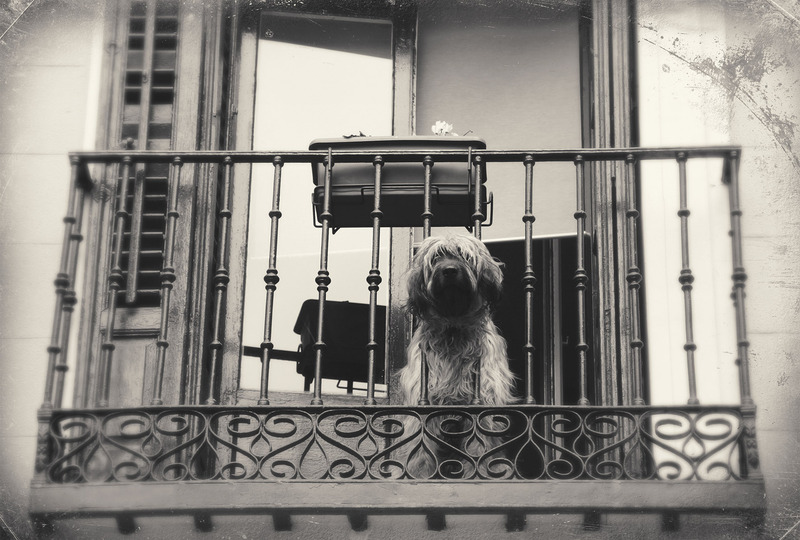 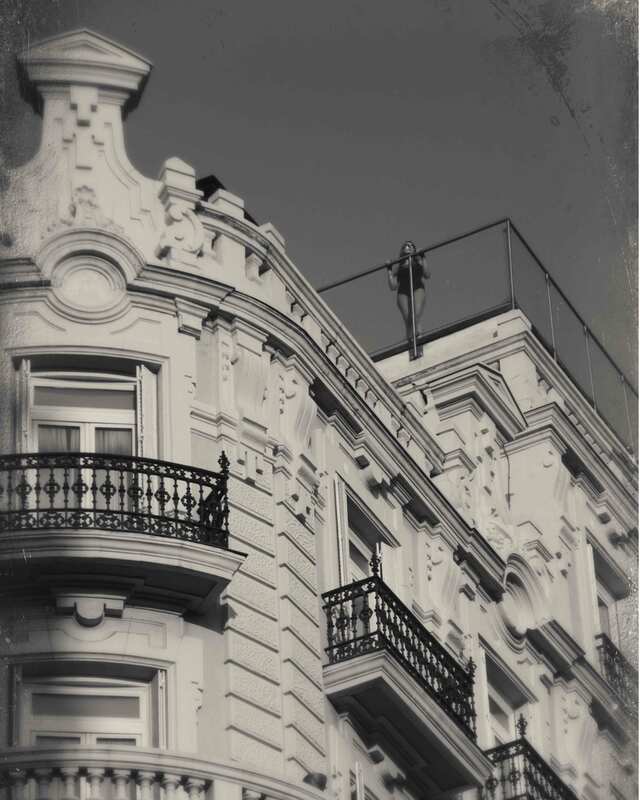 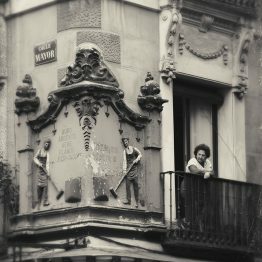 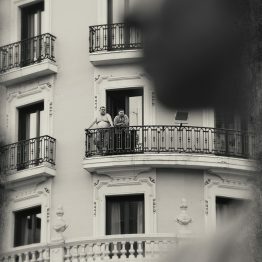 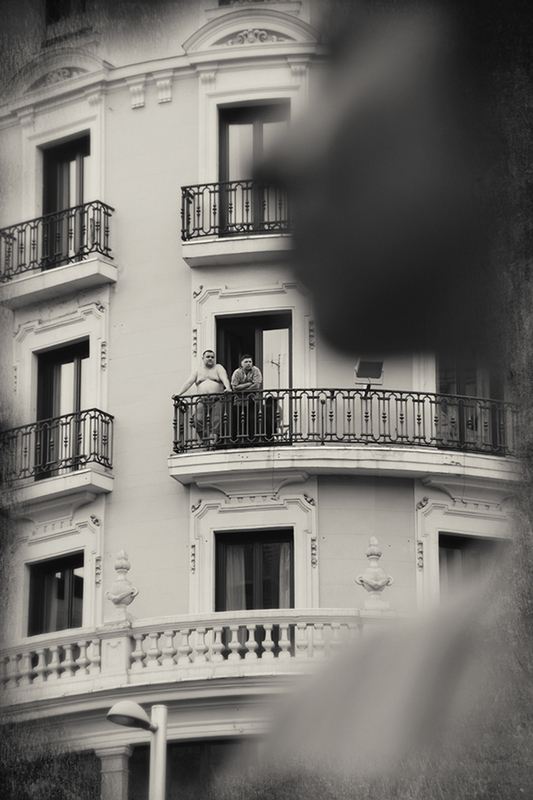 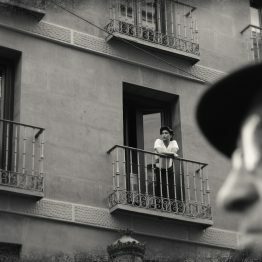 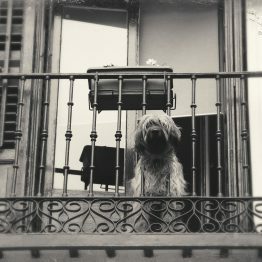 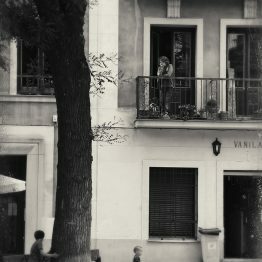 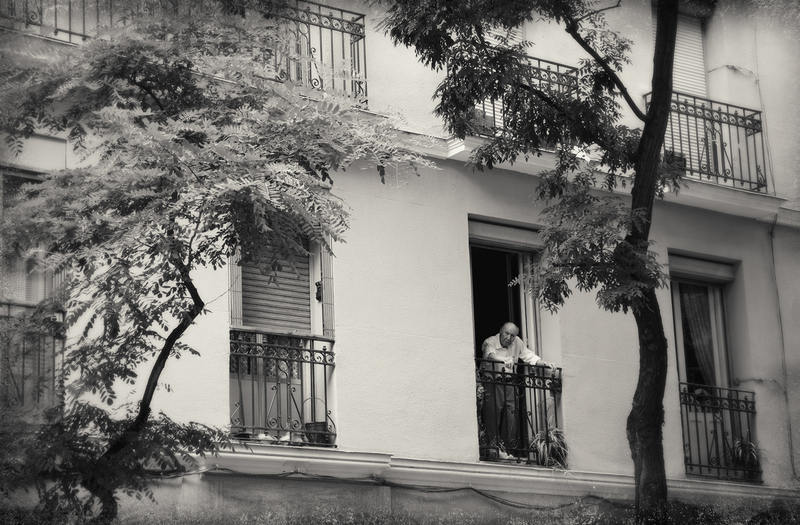 Most of the city centre dwellings, hotels and public buildings in Madrid have balconies overlooking the street. 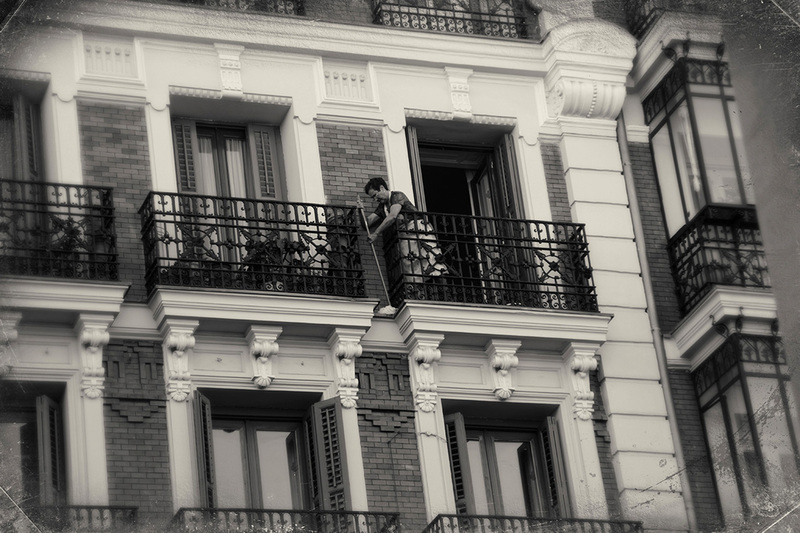 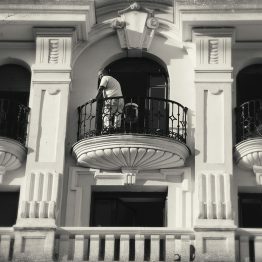 For most, a balcony is their only private outdoor space. 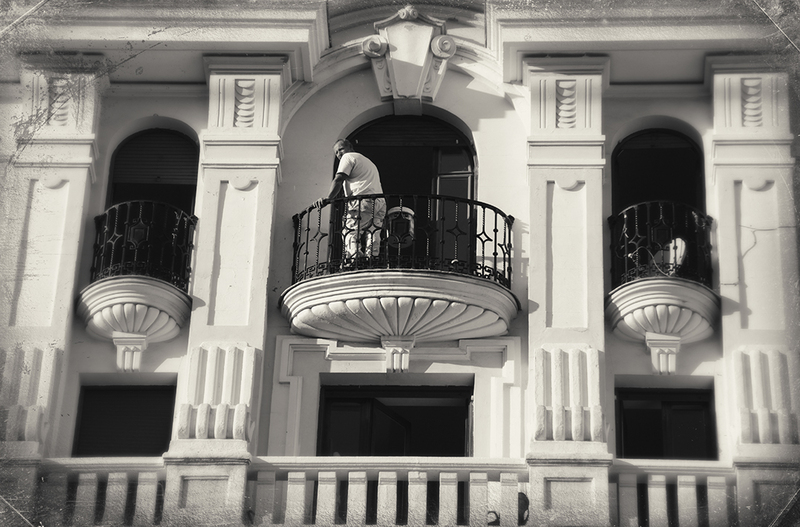 Many are used daily for viewing passersby, having a cigarette, airing laundry, sunbathing or chating on the phone. 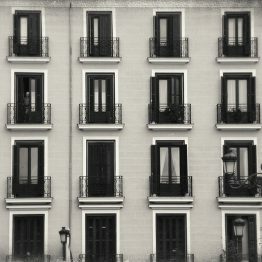 This is just a small collection from a larger project.